The Render Safe Sets, Kits & Outfits (RS SKO) consist of both Commercial Off-The-Shelf and government off-the-shelf solutions. RS SKO is intended to mitigate gaps associated with Counter Explosive Hazard (CEH) and Weapons of Mass Destruction (WMD) mission sets with enduring, sustainable and lightweight capabilities providing and supporting Explosive Ordnance Disposal (EOD) reconnaissance, threat detection, identification, diagnostics and render safe/neutralization, and incident evaluation and control. 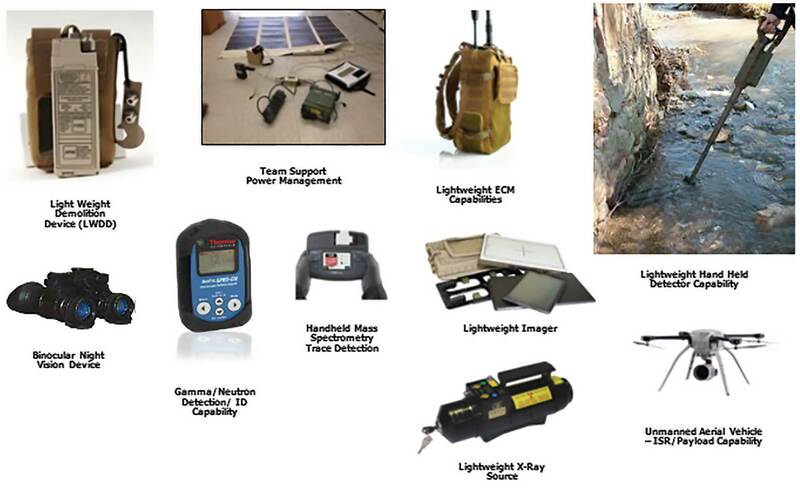 Enhanced mission support capabilities provide extended/enhanced endurance and force protection for EOD personnel in dismounted operations in both complex and austere environments. RS SKO consists of non-developmental items to reduce fielding time and reduce research and development costs, allowing Technical Refresh, or rapid materiel updating through Technology Insertion. RS SKO will provide enduring, sustainable, lightweight, CEH and WMD reconnaissance, detection, identification, diagnostics, render safe/neutralization, incident evaluation and control, and enhanced mission support capabilities to increase an EOD team’s endurance, force protection and mission success while primarily supporting dismounted operations in complex and austere environments.